Sprott Asset Management built its name on gold, but with consistent bear markets right up until this year, having all your eggs in that particular basket wasn’t advisable. 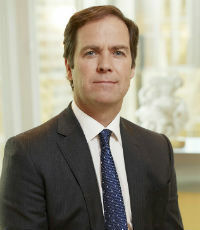 John Wilson came into the fold in 2012 to change the firm’s investment strategy and focus on assets apart from precious metals. For Wilson, the move toward alternative investments has been a key development, especially over the past year, as fixed income and securities have failed to offer the returns they once did. As market volatility continues to make things difficult for investors, Wilson’s guidance in shifting the firm toward alternatives looks like a wise move.